Trend Watch: The CW Makes Shopping a Snap! 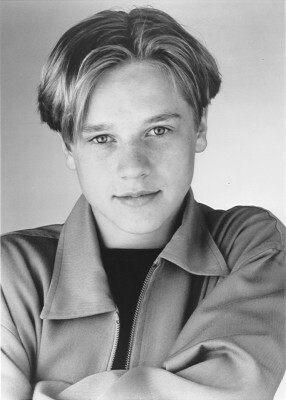 Of course, there wasn’t a boy who looked like Devon Sawa and no mystery to solve, but if there had been… well, I totally looked the part. Emulating a star’s style is easier than ever and with Starbrand and the CW Style Shop, all your favorite TV looks are only a click away. And what better time to try out someone else’s look than in college, when you haven’t quite figured out who the hell you are? With these online TV looks categorized by brand, episode and character, your favorite pieces are easy to find. And best of all, no arduous searching through website after website looking for a really awesome pair of jeans. All the denim in these shops is to the minute. They have also made it easy to shop for cute basics and affordable outerwear. It’s like having a whole rack of awesome clothes pulled from every different virtual store. They’ve already done all the work, and for a lazy college girl, these websites are ideal. Work is a word we tend to avoid at all costs. I mean who hasn’t worn their pj’s to class at least once? Check out the fall fashion gallery after the jump! The best thing I’ve noticed from the Gossip Girl store in particular is their selection of jewelry. Alexis Bittar was a brand constantly in stock in the Teen Vogue accessories closet (because yes, I was an intern…) except I never knew where to find it except in small Manhattan boutiques. Now, you can draw inspiration from your favorite shows or just peruse their hand picked selection of affordable basics and awesome jewelry. Still stumped? We’ve pulled together some looks that may be perfect for campus this fall! Want to do some browsing yourself? Whatever you like, these virtual boutiques are bound to have it.